Bermuda secured a thrilling come from behind victory over Cuba as the Under 14 Caribbean Football Union Challenge Series got underway. 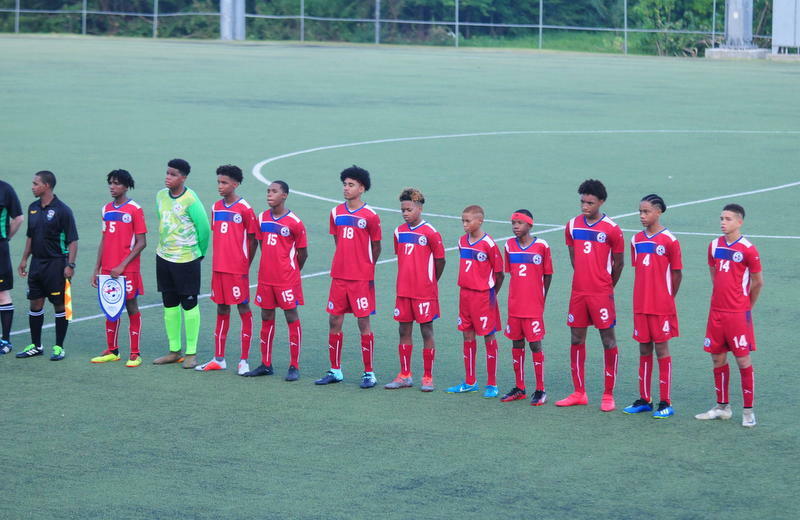 Bermuda’s starting line up included Milai Perott, Zakao Hart, Naji Bean, Mason Robinson, Eijaz Shakir, Deniche Hill, Camaje Easton-Smith, Keyni Mills, La Zai Outerbridge, Sincere Hall, and Ahtaio Burgess; while the reserves included Toran Place, Stefan Jones, Sekai Tatem, Aquiyei Richardson, Riley Robinson, Harry Twite, Ben Osset. Ahtaio Burgess almost gave Bermuda the lead when he chased down the goalkeeper as he attempted to clear the ball, Burgess blocked the kick and rounded the keeper, however found the side of the net from a tight angle. Bermuda went down 1-0 in the 18th minute after Cuba scored, however Bermuda goalkeeper Milai Perott then made a number of fine saves to keep Bermuda in the game as Cuba pressed to find a second goal, while Deniche Hill and Sincere Hall made a few penetrating runs causing great concern for the Cuban defense. The Bermuda coaches made a few strategic second half changes which allowed Bermuda to slowly gain the upper hand. Their penetration finally paid off in the first minute of injury time when substitute Sekai Tatem drove a cross into the box which was met by La Zai Outerbridge whose glancing header beat the Cuban goalkeeper at the back post. Bermuda wasn’t done and found the winner though Hill with the last touch of the match. Second half substitute Stefan Jones was the provider as he placed a timely cross for Hill to calmly slam the ball past the outstretched hands of the Cuban goalkeeper to secure an historic win for Bermuda. After this very successful first game, the team will match up against the Cayman Islands on Monday, and then play the U.S. Virgin Islands on Wednesday. What a truly amazing result. 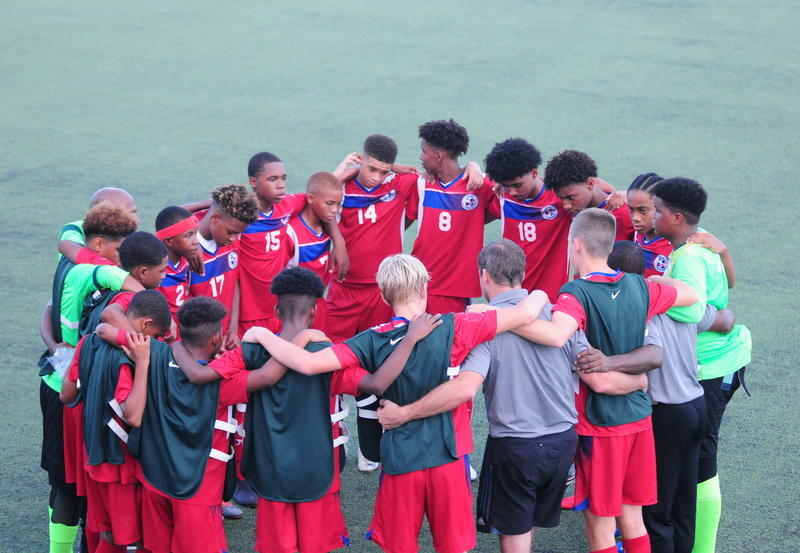 Tiny Bermuda’s Under 14 team wins against Cuba with a population of over 11 million. Congratultions to our team and to the coaching staff. You have done Bermuda proud. Great job,stay focused boys. Hard work and dedication will pay off.